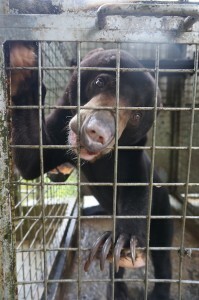 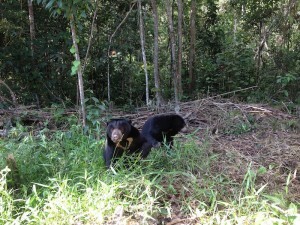 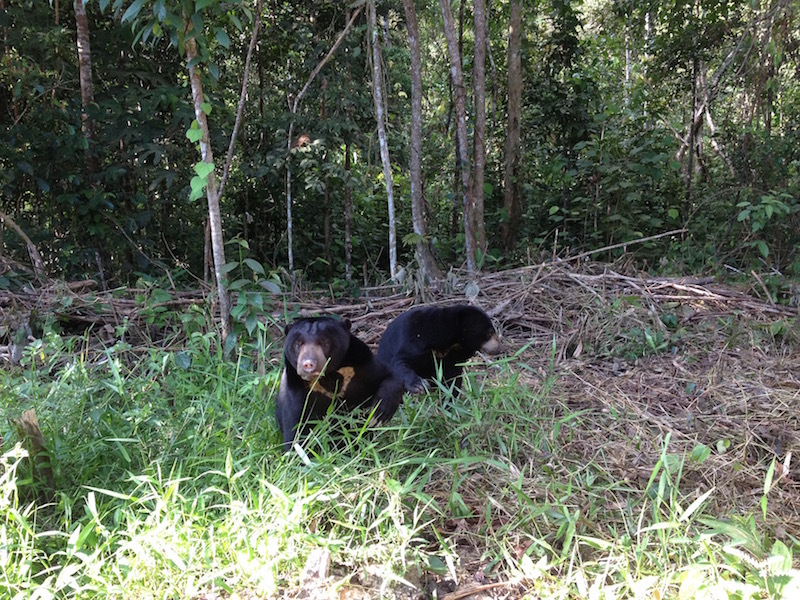 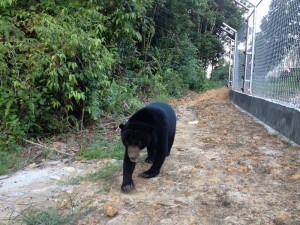 All is going well at the BOSF sun bear sanctuary in Samboja Lestari, East Kalimantan, Indonesia. 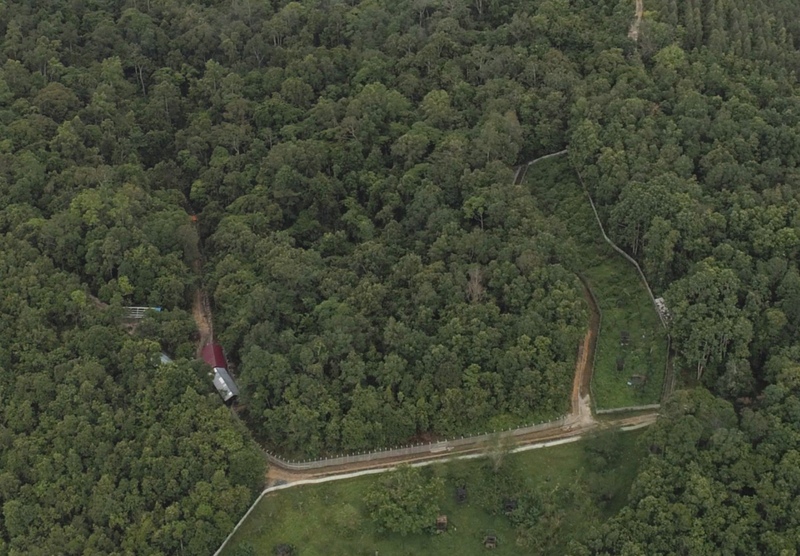 The first 1,65 Ha forest enclosure that we’ve been working on for the last 3 months is finished and has become the new home for Oscar, Apang, Kecil and Arkana since April 29th. 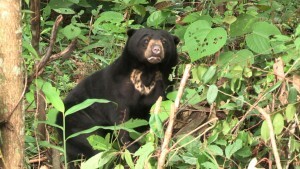 The 4 bears spend most of their time in the forest but come back to the dens for breakfast and afternoon feed. Oscar, Apang, Kecil and Arkana have all spent many years alone in small 1,25 m2 cages and they are now in a group with over 16 000 m2 of forest to play in. 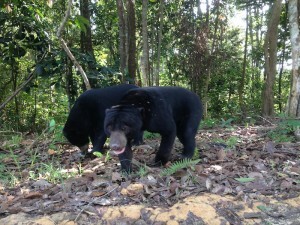 They are surely living the happiest days of their lives, discovering the habitat they were meant to live in, foraging, playing in the creek that runs across their park, sleeping in trees, being bears in their own private space away from humans. 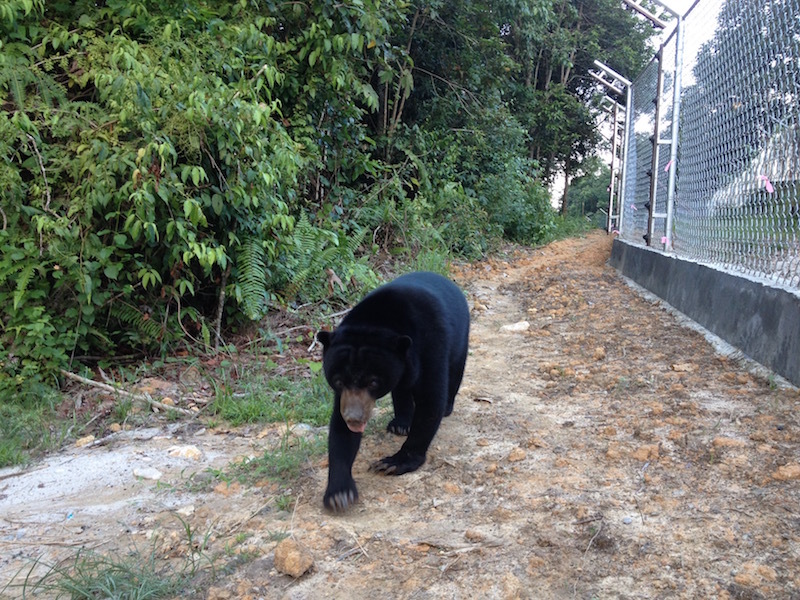 And they will soon be joined by another 3 bears (Jay, Maria and Kumala) who are presently in the training enclosure learning about the electric fence. 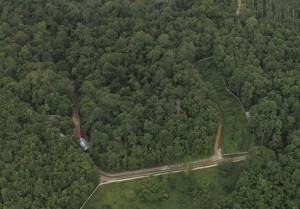 The second enclosure of 0,7 Ha is about half finished, I hope to see it completed by June 1st. 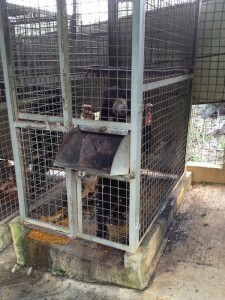 Then we’ll make the third enclosure of about the same size. These 2 enclosures will each hold 3 bears. 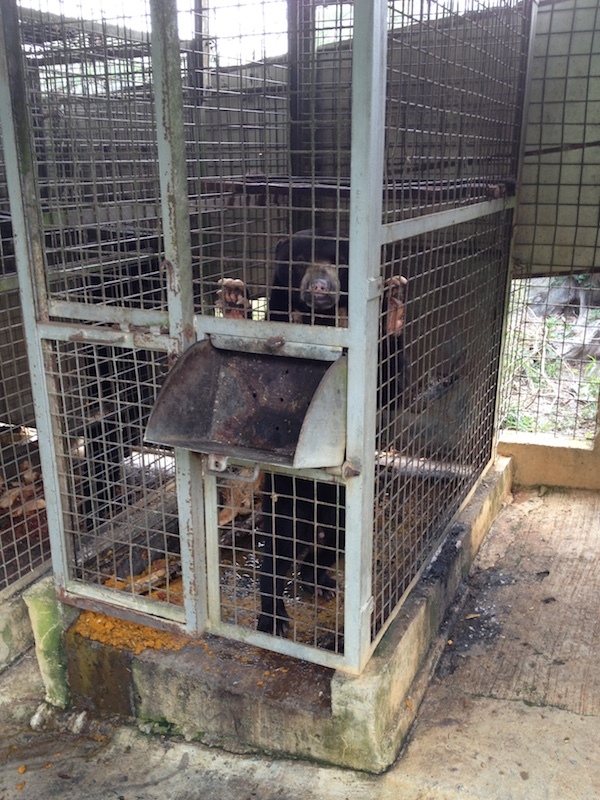 Financially, Sun Bear Outreach is still missing about € 10 000 EUR to be able to finish the 3rd enclosure, so I’m hoping I can continue counting on your support. 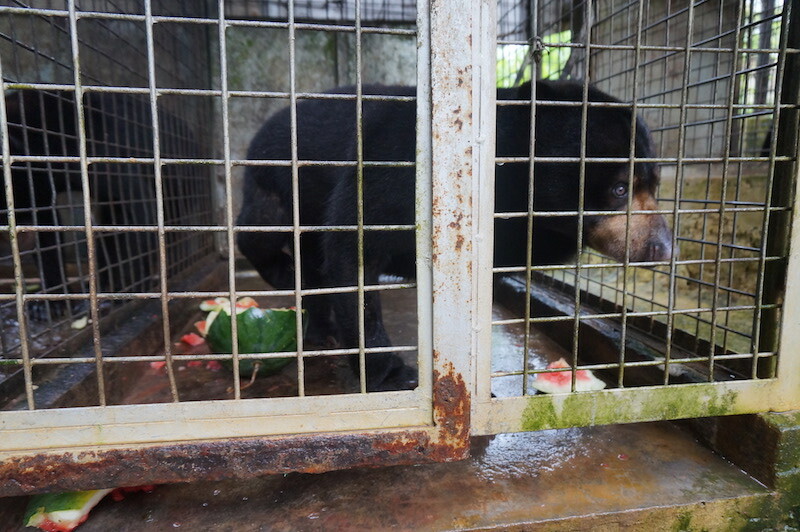 In the name of the bears, thank you for making a donation.